Everyone wants to save a little bit of money off of their energy bill these days, especially when electricity costs can run so high. While shaving a few dollars off of your bill here and there may not seem like much, it can add up to a lot by the end of the year. There’s always an advantage to reducing your home electricity bill. Plus, according to Repairs.sg Electrician Services, the best ways to reduce your electricity bill are a lot easier than you might think! 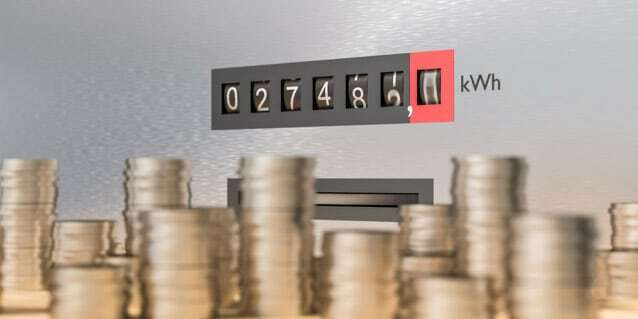 Below are the top 5 ways that you can reduce your home’s electricity bill each month. By going green and saving some money, you can really see those prices go down on your monthly payments. Here are a few easy ways to get started. Did you know that your refrigerator accounts for a large portion of your electricity bill? You can drastically reduce your payments by giving your fridge a good tune-up. The best way to perform maintenance on your fridge is to contact a professional to take a look at your appliance and see if the temperature or cooling units need to be readjusted. Your fridge might be trying to work too hard or take up way more energy than needed. This might go without saying, but it costs a lot more energy to use warm water than it does to use cold water. This is because when you want your water to become warm, you are activating the use of your water heater, which is just another appliance that costs money on your monthly energy bill. To avoid this extra cost, when it comes time to do laundry, simply wash your clothes on cold. They’ll be washed just as effectively, and this way you are only using one appliance at a time. You’ll be amazed at how quickly the numbers on your bill are reduced! Your air conditioning and heating units might be taking up way more energy than they need to in order to provide cool (or hot) air to your home. If you own an AC unit, be sure to regularly change the air filters so that you don’t force your units to make up for lost energy. Plus, dirty filters can contaminate the air as they get clogged with dust and debris, making it harder for you to breathe clean, healthy air. You can also invest in a professional to take a look at your AC units every once in a while to keep them clean and fine-tuned. By changing your filters and employing regular maintenance, you are sure to shave a few dollars off of your bill every month. It’s good to get into the habit of turning off your lights when you leave the room. There’s no need to keep your lights on when you aren’t actively using them. Lights contribute to one of the biggest amounts on your energy bill each month. Plus, it’s a good idea to be able to teach your children to not leave the lights on when they leave their rooms. You can save over 1.2 cents per light bulb per hour it is turned off, especially if your light bulbs are incandescent. Switching from incandescent light bulbs to halogen or LED light bulbs can save you money even when the lights remain on. Not only are you practicing better energy efficiency, but you are saving hundreds of dollars per year by investing in this important practice. You may not be thinking about your cookware when you prepare a meal each night, but did you know that glass cookware is much more energy-efficient than aluminum or iron cookware? It takes less time for glass to heat up and boil your water, which means you are consuming less energy to cook a meal. Investing in a simple tip such as switching from aluminum to glass cookware can definitely save you a few dollars off of your bill each month. It may not seem like much on a month-to-month basis, but at the end of the year, you’ll be surprised at how much you’ve saved.